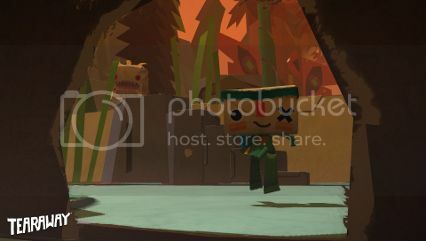 Home » Critical News » Tearaway all the release dates! Tearaway all the release dates! You know how the Vita “has no games”, right? Well it’s going to stay that way for a whole month longer. Media Molecule are pushing back their Vita title (and new IP) Tearaway, from mid-October, to the 22nd of November. Media Molecule has the gall to announce this with legitimate reasons for the delay like, needing more time to “tie all of the mechanics, story and amazing visuals together into the adventure that we want you to play”. It’s almost as if they care about the quality of the game they are releasing. Until then your Vitas must remain in a corner covered in dust, left alone like a neglected child because it is the Vita and obviously has no games – FOREVER!